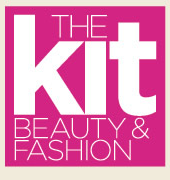 So I signed up Thekit, I was given a opportunity to try a sample of the Brazilian Keratin complex. I would have to say this isn't something i would go buy all the time it was great as a sample and it worked it just wasn't for me. It smelled great and the conditioner felt amazing. i found the shampoo to be to thin for me. i am grateful that i got to try this product and if you can get your hands on a sample you should try it, you may love it!! my hair feels so light and non frizzy worth trying right :) it came with a $2.00 off coupon so maybe if i see a great deal ill have to buy more and see if my opinion changes.